TH 21928 - EntryGard Operator High Impact Plastic, Bronze Cover, Snap-On Design, 1 per pkg. TH 21931 - EntryGard Operator High Impact Plastic, Coppertone Cover, Snap-On Design, 1 per pkg. TH 21937 - EntryGard Operator High Impact Plastic, White Cover, Snap-On Design, 1 per pkg. 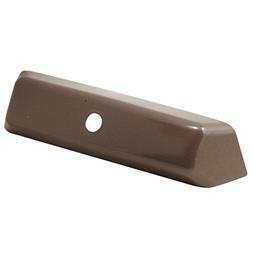 TH 22232 - EntryGard Operator Diecast Bronze Cover, Snap-On Design, 1 per pkg. TH 24000 - Truth EntryGard Cover & Crank Combination, Bronze, 1 set per pkg. TH 24001 - Truth EntryGard Cover & Crank Combination, Coppertone, 1 set per pkg.